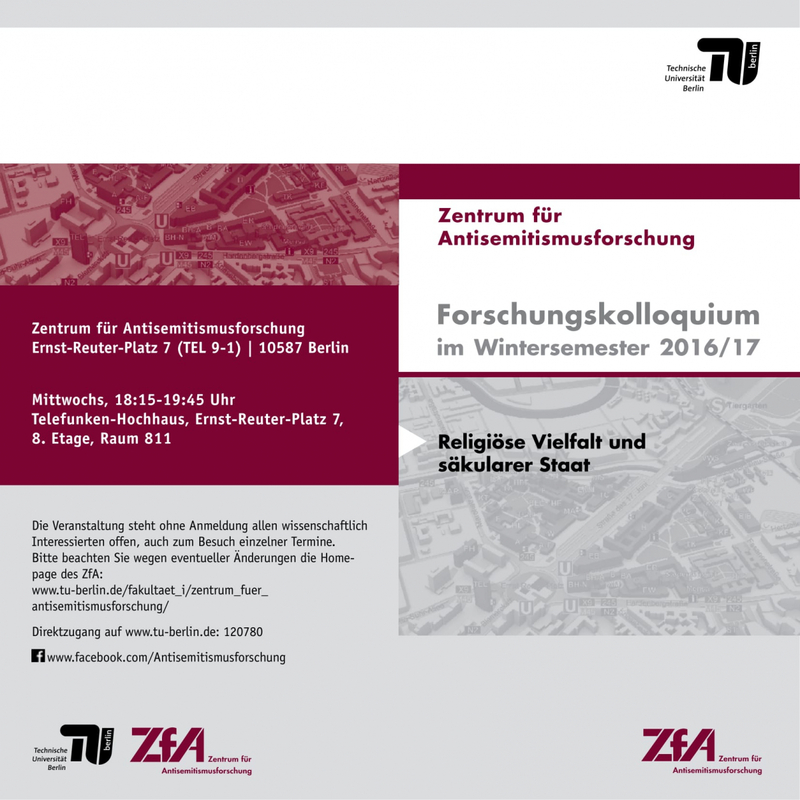 Our Senior Researcher Markus Dressler will give a public presentation on "Secularism in the late Ottoman Period" on 25 January, 6:15 p.m., at the public colloquium of the ZfA (Zentrum für Antisemitismusforschung) at the TU Berlin. During the „long 19th century”, the Ottoman Empire experienced violent contestations of its political order and underwent radical changes that ultimately lead to its demise. Against this historical background, Ottoman-Turkish understandings of Islam and din/religion changed considerably, moving closer to the emerging world-religion discourse that developed in Western Europe in the context of colonial and imperial encounters. Accordingly, a new concept of religion/din was formulated that was clearly different from traditional Islamic notions of religion/din. In my presentation I will provide examples of this transformation and chart the historical dynamics that need to be considered to contextualise and explain it. This will also help to situate the Kemalist form of secularism, or laicism (Tr. laiklik), which was formulated and institutionalised in the 1920s and 1930s, in a longer historical development.